Members are invited to join a celebration of London's longest serving volunteer coaches of the modern era, Richard Philips. We will name an eight for Richard who has been a member of the Club since 1973. Richard's first win was as a novice in a coxed 4 at Staines Regatta in 1976. In 1984, he went on to win the National Championships with his double partner David Babbs.The following year, he reached the quarter finals of the Diamonds but then lost to US Olympic double champion, Brad Lewis, who was then beaten by Sir Stephen Redgrave. Captaincy was next for Richard, serving for three seasons, 1988, ‘89 and ‘90. Since then, Richard has coached thousands of sessions, watching rowers move through life. There is much more to say and more to come from Richard; please come on Wednesday, 01 May to hear it all. 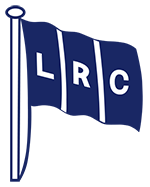 Dinner from 7:30pm, please book in to kathleen.curran@londonrc.org.uk, £25 per person, the sooner the better, but no later than Thursday 25 April. Places will fill quickly.